I fell in love with Faith Ringgold’s art years ago when I was studying quilts as a media art form. Yes, quilts as a media form. This may be hard to imagine, but the book Hidden in Plain View: A Secret Story of Quilts and the Underground Railroad discusses the utility of these artistic blankets, far beyond keeping the family warm. The quilts contained messages, codes, maps, and stories for a specific culture; more specifically, the quilts led many enslaved African women and men to freedom. As an artist and activist Faith Ringgold talks about her artistry as a way of sharing one’s story and self-identity. You can’t sit around waiting for somebody else to say who you are. You need to write it and paint it and do it. That’s where the art comes from. It’s a visual image of who you are. That’s the power of being an artist. In the MAKERS documentary she said Aunt Jemima was the first Story Quilt she made. She chose to rewrite Aunt Jemima’s life story as an entrepreneur. Many people should remember Aunt Jemima if they eat pancakes – she is the woman on the syrup bottle that had a do-rag on her head, and years later transitioned to an Afro or maybe it is a Jheri curl (still to this day). Regardless, this Mammy caricature became the quintessential figure for the product – eventually selling syrup to millions of pancake lovers. Faith talks of reshaping the history of women so that we can accurately portray ourselves in an empowering light. More importantly, women can define themselves for themselves. It is Faith’s words that led me to the feature for March, Women’s Herstory Month – Ernestine Holmes. Ernestine is an extraordinary quilt artist, and I learned about her quilts a few years ago. I had the opportunity to see some of them during a demonstration speech. I was amazed at the detail and craftsmanship, so last December I sat down with her to discuss what led her to this rich and vibrant art form. This 74-year old soft-spoken and gutsy artist was born in Arkansas, and she is the oldest of five siblings. She spent most of her adolescence in Arkansas until her father’s job in the automotive industry transferred the family to Michigan. While there, Ernestine was home schooled until she moved to the Midwest; she talked about her experience in the segregated school she attended, and how Black History was not allowed to be taught, but regardless, she had teachers who taught it. Ernestine was always familiar with sewing. Her mother taught her to sew, and she credits her mother and grandmother, who both made Utilitarian Quilts, with inspiring her desire to quilt. They also made Anglo Saxon Quilts that were showcased at fairs, and regularly won ribbons. In the 1970s Ernestine received a scholarship from the Urban League to attend Academy Nvart in Southfield, Michigan. Her passion was to learn Couture Design, which she did. However, Ernestine did not start quilting until she retired in 1992 from General Motors. At the age of 53 she decided to pursue her passion. She says she officially started quilting in 1994. Four years later she joined the African American Quilters in Flint, and then joined another group, the Michigan Quilt Network, where she started exhibiting her quilts annually. I asked her about the messages in her quilts, and she explained that some of them tell a story while others focus on specific patterns that repeat themselves throughout the work. 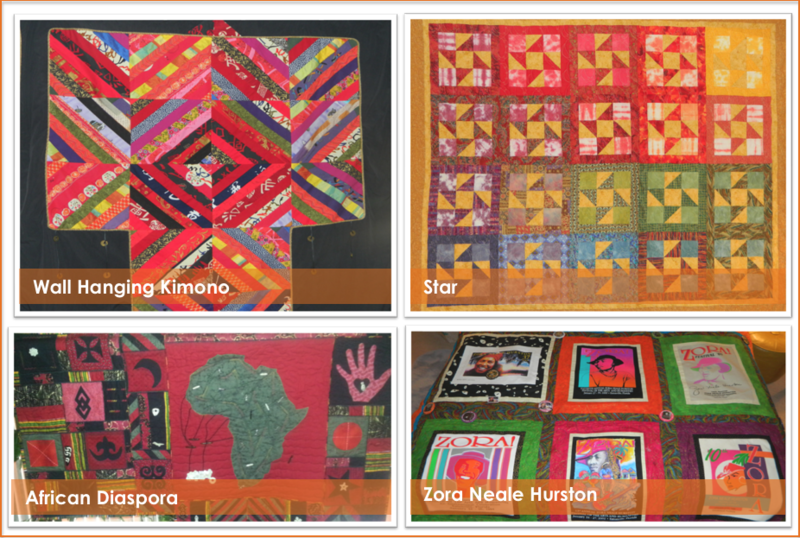 Ernestine also shared that her quilt that focuses on the African Diaspora was created because she specifically wanted to show how the slave trade affected cultures around the world. Out of the 200 plus quilts she has made, she stated that this one was her favorite. Ernestine also expressed one of the challenges she has with quilting – selling her work. She is preparing for an exhibition this spring, and this is a very big deal, given the fact that she often sells quilts on commission. Selling her pieces has not been a common occurrence as there is an attachment to the art she creates. She explained that at times her challenge with people is whether or not they recognize and value the time and effort she puts into creating each quilt. And she doesn’t necessarily work on one quilt at a time; it simply depends. After looking at her extensive collection that covered her whole house, I realized how important Faith Ringgold’s words are – an artist can become the art she is creating. Ernestine says, “If you spend your time creating something you should be financially rewarded for it. When I went to Africa I wouldn’t barter with the people.” She says it was difficult to negotiate prices for the art she saw. Finally, I asked Ernestine if there is something she does beyond quilting. She named two activities: golfing and traveling. Due to time, it has been a challenge balancing her personal interests, but her plan is to return to these two activities and continue creating beautiful quilts. Here’s to Ernestine Holmes – a quilter, storyteller, activist, and indeed an artist! Utilitarian Quilts – Ernestine explained that Utilitarian Quilts are made out of the old clothing, specifically created to keep the family warm. 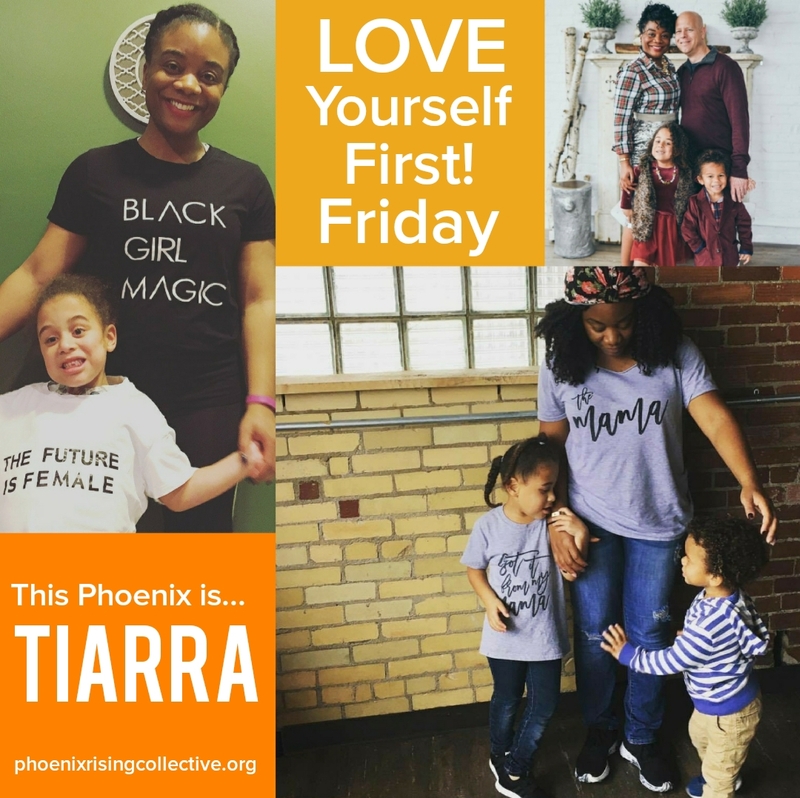 You can also read about Traci’s journey to self-love, as this contributing writer was also a LYFF feature: click here. 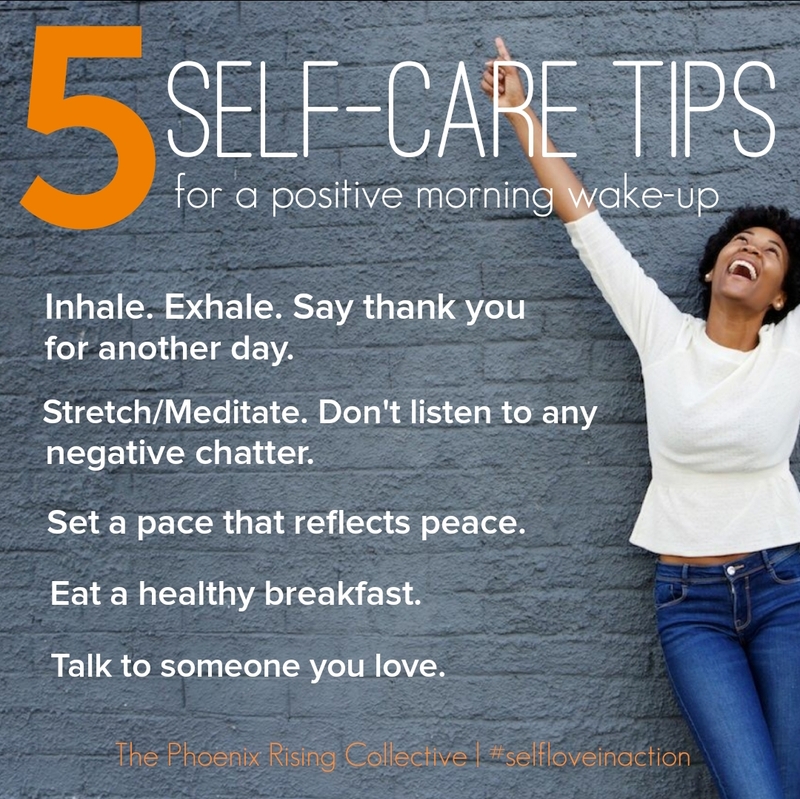 Categories: Self-Care + Personal Growth | Tags: art, artists, culture, inspiration | Permalink. Ernestine Holmes is my Aunt. 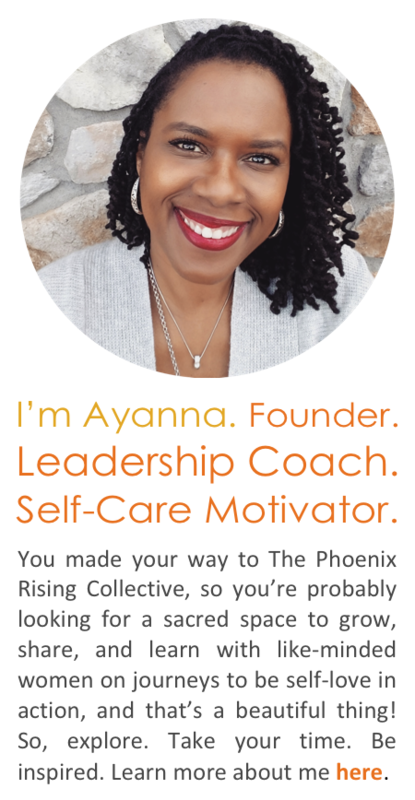 What a coincidence that she is featured this month in the Phoenix Rising! Pieces of her work are currently on display in our family founded school, Commonwealth Community Development Academy, Detroit, MI as we celebrate Black History and Reading Month. She and her sisters have facilitated hands on quilting projects along with storybook sessions with students to introduce quilting artwork. Way to go Auntie! Thank you, Angela, for your comment. Your Aunt is a gift!